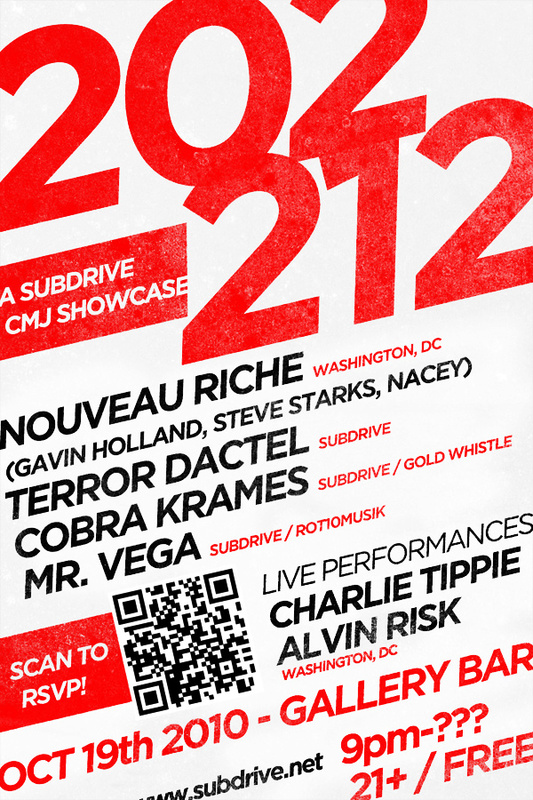 Our boys at Subdrive are planning a takeover at this year's CMJ events. Tonight DC meets NYC at their 3rd annual CMJ Showcase! This year they've brought up some close friends, a new face, and the rest of the crew to rock the upstairs of Gallery Bar in the LES! Now, most of the Subdrive crew is originally from the DC metro area, and they are plenty proud to have so many guests from their old stomping grounds. If not, check out some of their tracks!